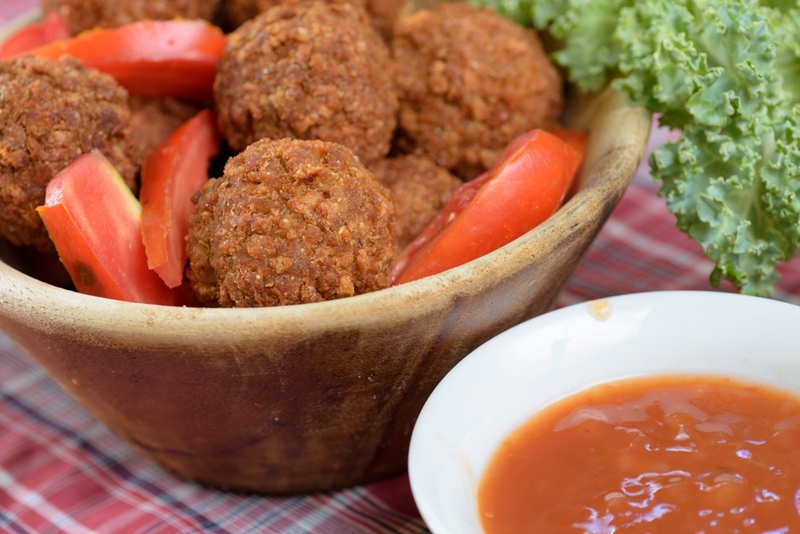 Pour your meatballs in a microwave-safe container and heat on high until steaming hot. In a small bowl, whisk together the ingredients for the sauce, then heat until it thins and starts to steam. Toss your meatballs in the sauce and add a toothpick to each. Top each toothpick with a pineapple chunk, and serve.